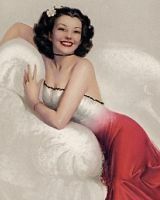 Eye Candy Blog seeks to celebrate feminine beauty as it can be found all across the web in its many forms, both past and present. My goal is to present you good people with sweet indulgences for the eye in a tasteful yet provocative setting. Enjoy! Adult content; you must be of legal age to view this blog!